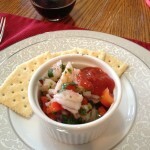 Have you been searching for ceviche recipes? 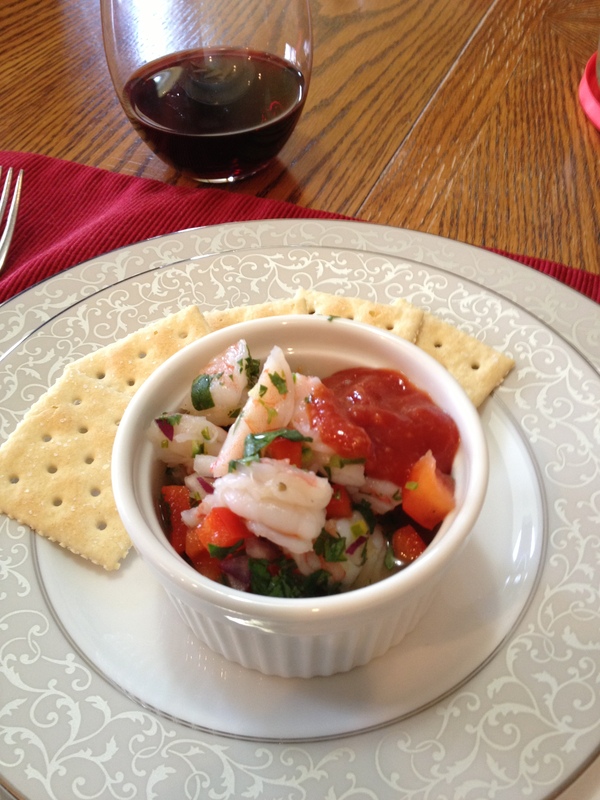 I’m sure you’ve encountered a wide array of shrimp and fish ceviche recipes with all sorts of different ingredients and methods. 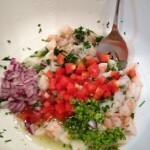 About the recipe, traditionally, the fish or shrimp is “cooked” by marinated it in lime for 24-48 hours, but I discovered this quick and safe way to make it. It taste just the same! Also take note about frozen shrimp. It’s best to defrost shrimp overnight in the refrigerator but if your in a pinch, running them under cold water for about 30 minutes also works. 1. 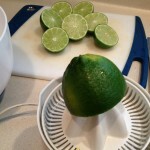 Squeeze limes, add juice to a large bowl. 2. Bring about 4-6 cups of water, garlic, salt and reserved lime rind, to a rolling boil. Add shrimp, cover and turn off heat. Leave Shrimp in water 2-3 minutes or until pink. 3. Once shrimp are pink, remove from pot and shock in ice cold water. This helps stop the cooking process. You don’t want to overcook the shrimp. Once cooled, chop into 1 inch pieces and add into the bowl with the lime juice. 4. Dice onion, cilantro, and peppers (Red & Jalapeño) and add to same bowl with shrimp. 5. Add Salt and Pepper to taste, cover and refrigerate for at least 1 hour or up to 24 hours. 6. Mix in horseradish with cocktail sauce and refrigerate until ready to serve. 7. 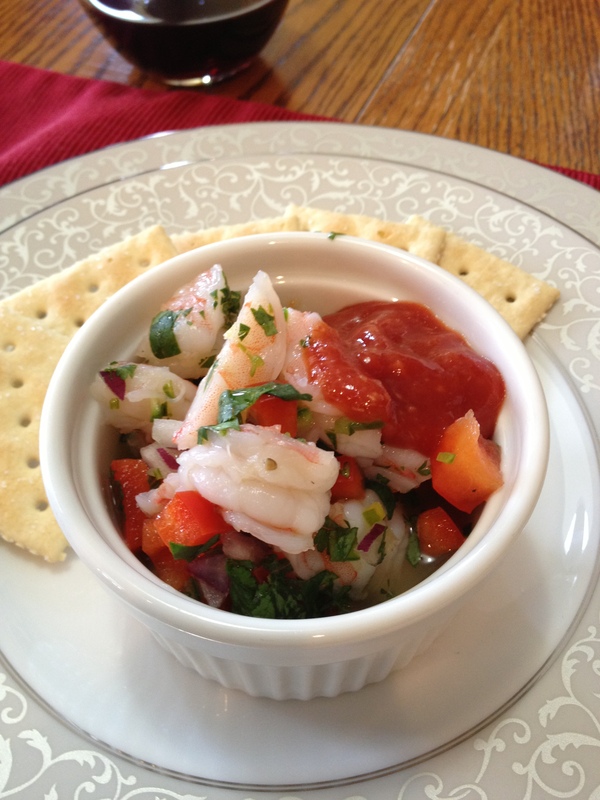 Serve Shrimp Ceviche in a small bowl (or pretty martini glass) with a side of saltine crackers and the cocktail sauce. Food was above and beyond my expectations. Delicious recipe!!!! !